Where can I find and download new patient forms? Do you have early morning and evening new patient appointment times? Does Dr. Walter provide Webster Technique for pregnancy care? Does the chiropractor take x-rays? Does the chiropractor provide chiropractic care for infants and children? 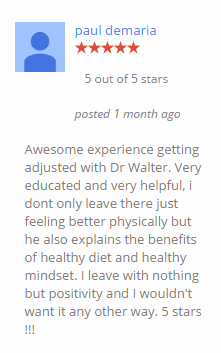 Can I attend the Wellness Workshops at Back To Health Chiropractic Centre even if I am not a patient of your office? Can I join the Run Walk Club at Back To Health Chiropractic Centre even if I am not a patient of your office?